YouTube have publicly launched a captioning service that was previously only available on educational channels. 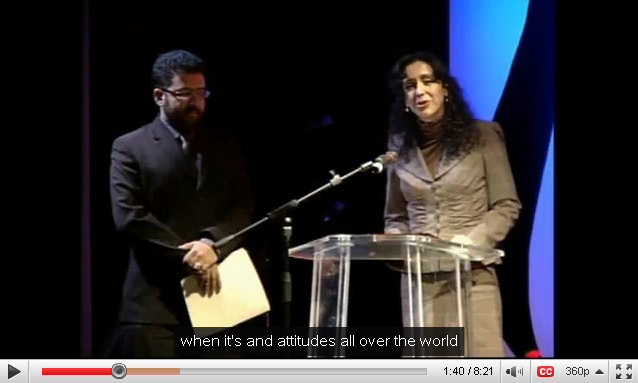 The service uses voice recognition to work out what is being said and to place captions at the bottom of the screen. Currently the service is only available in English and the quality of the captions depends on the quality of the audio track but even with high quality audio, beyond getting an idea of what a video may be about, the number of mistakes means that the service probably has more entertainment value than transcription value at the moment. Uploaders have the option of correcting the captions, which may be used in the future to enhance YouTube’s search capabilities. Captioning is not yet available on all old videos, where it is available it can be accessed either via a “cc” icon or an upward pointing triangle on the video player tool bar. Automated captioning in other languages should follow in the near future.